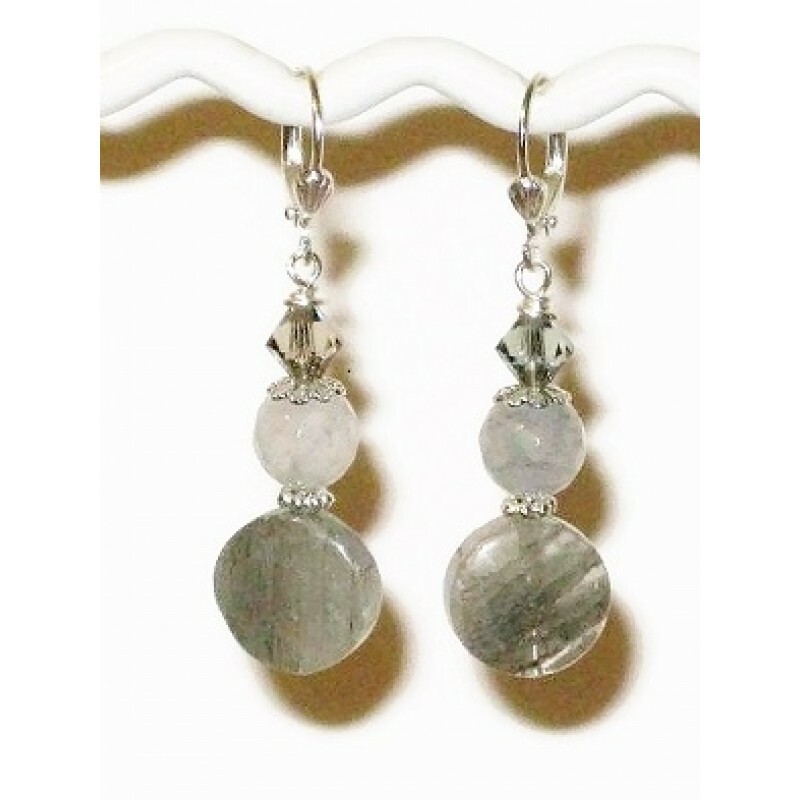 These chic neutral colored earrings will enhance whatever you wear. They consist of quartz beads, faceted jade and Swarovski crystals. They measure approximately 1 3/4 inches starting from the top of the silver-plated leverbacks they hang on .